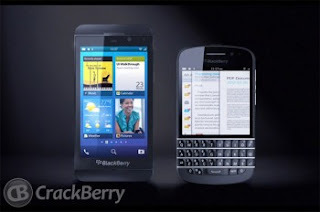 Even before the official unveiling of the Blackberry 10 OS and devices, many of its details have leaked and what is amazing is that it will be a full touch phone. It’s a really solid built and back has a rubbery cover. With the images leaked we can easily make out that it somewhat resembles the iPhone4S in overall design. The 4.3 inch screen with the redesigned app world looks similar to the Google play store. However on further investigation they found a peculiarly positioned sim slot. The quick browser supports flash, and going by the photos that have leaked we know it will be available in black and white colors surely. With the number of images and videos of this phone that have leaked, we can determine some of its specifications and features that will surely be included. It will have a Dual Core 1.5 GHz processor, with radio and color display. It will have an 8 MP auto focus camera and 2 MP Front facing with flash. A 2 GB RAM (which is now confirmed ) and a ROM of 16 GB which is accompanied by a swappable Micro SD slot. It has Wi-Fi GPS and a removable battery. Interestingly it will have a variety of sensors like the ambient light detector, accelerometer, magnetometer, gyroscope and the face detect for phone calls. 0 Respones to "BLACKBERRY ZEE 10"